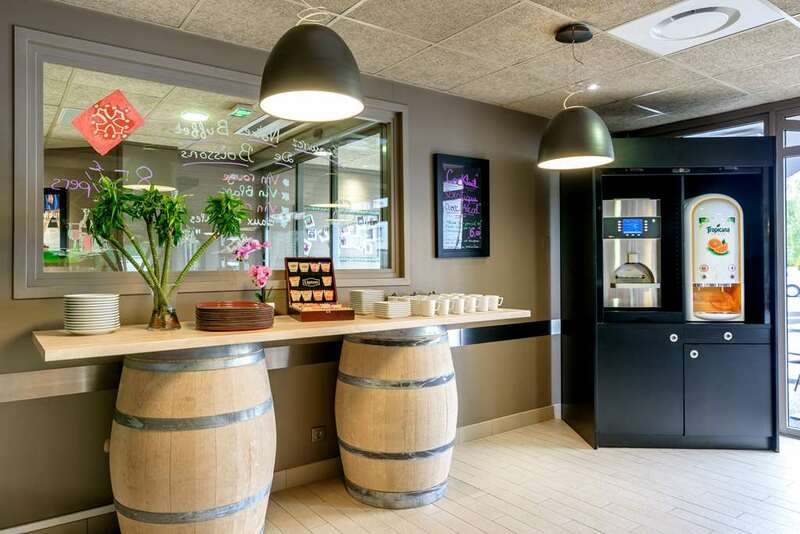 Welcome to Campanile Toulouse Ouest Purpan! 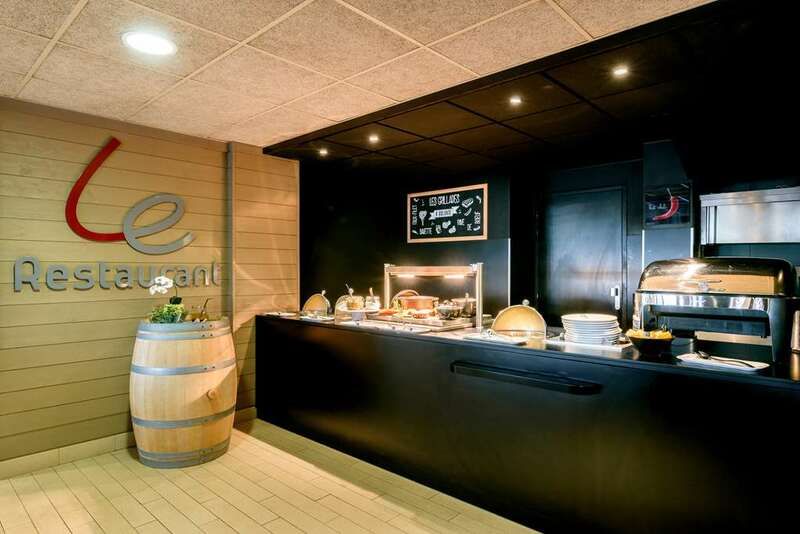 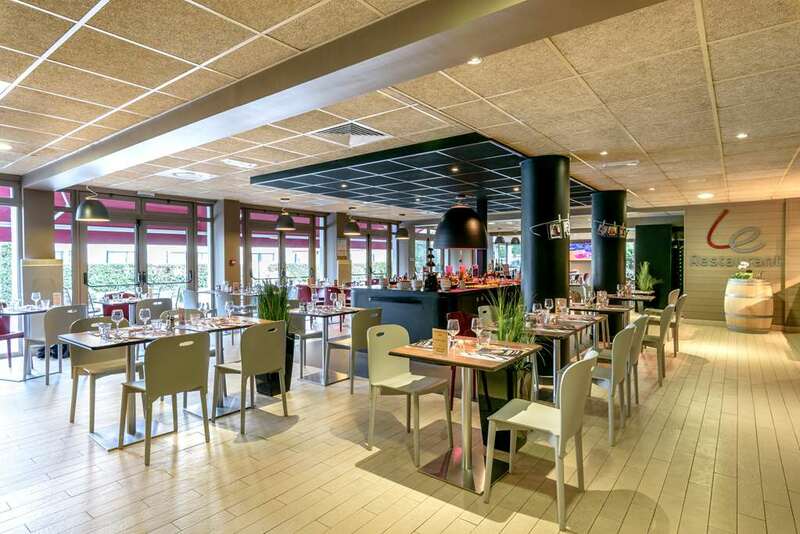 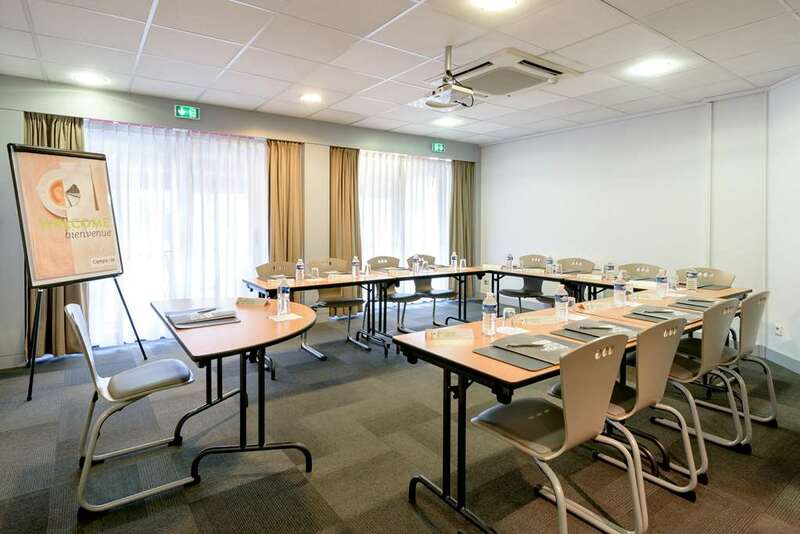 Located in the west of Toulouse within close proximity of the centre, the Campanile Toulouse Ouest– Purpan hotel makes an ideal base for your visit. 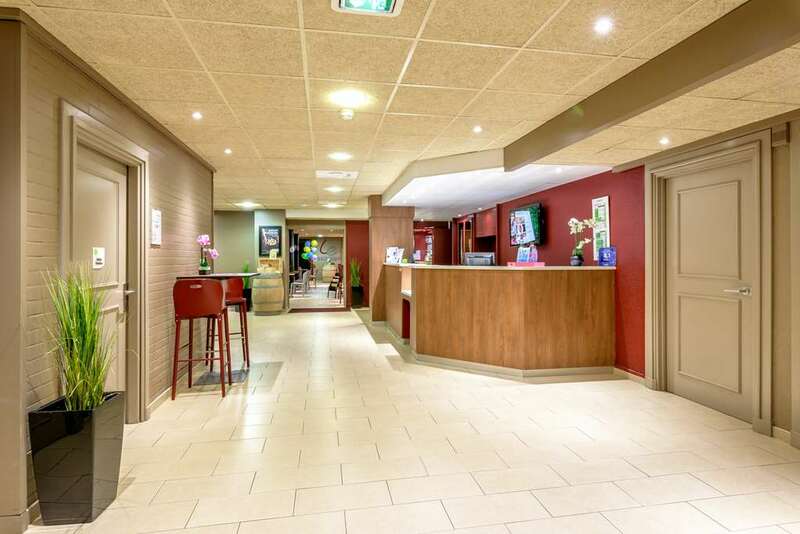 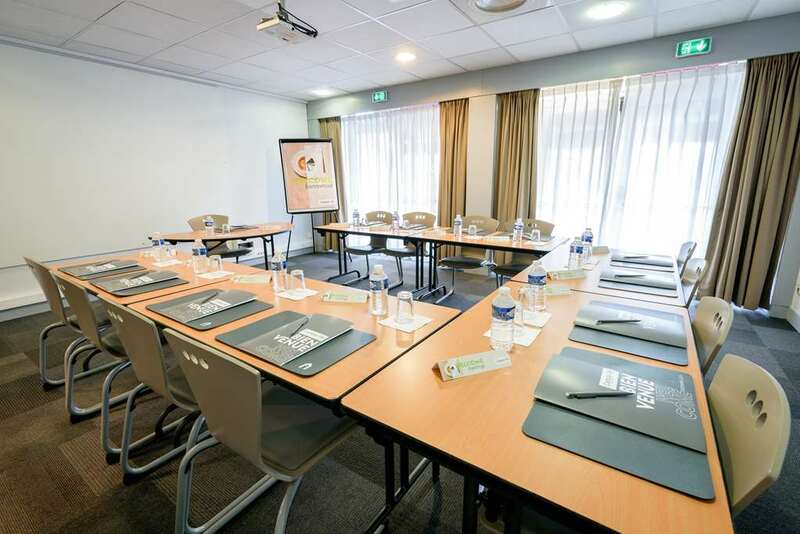 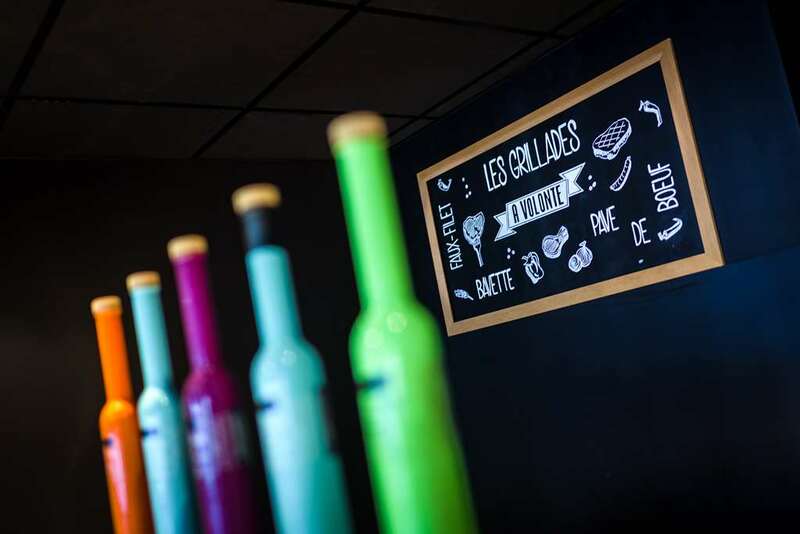 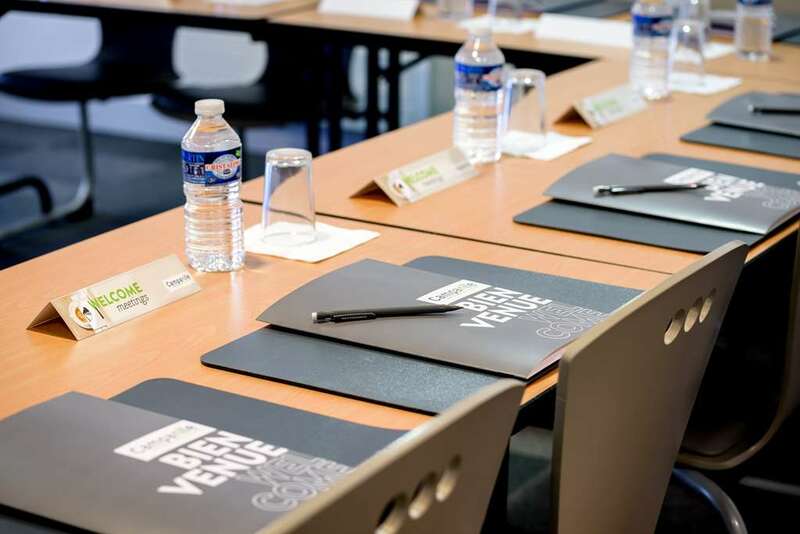 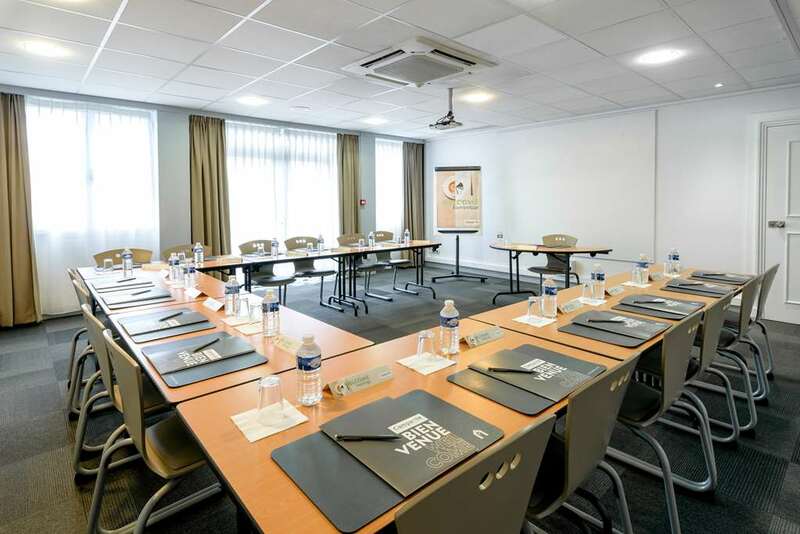 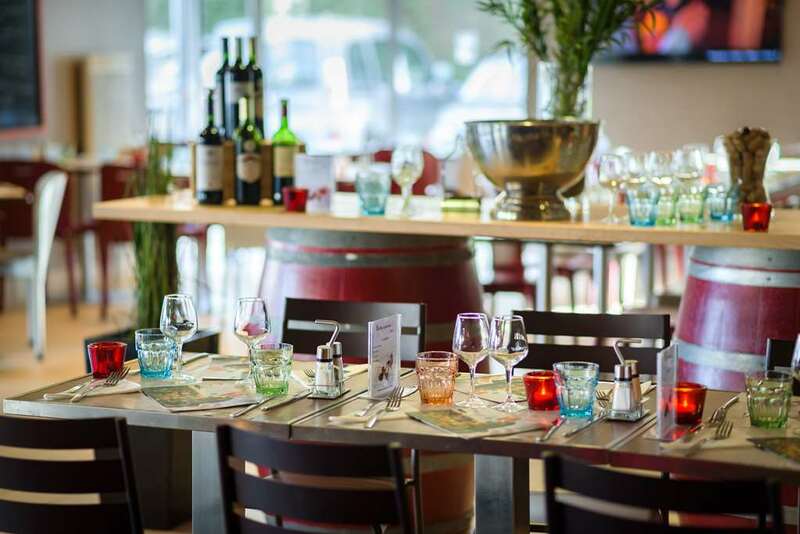 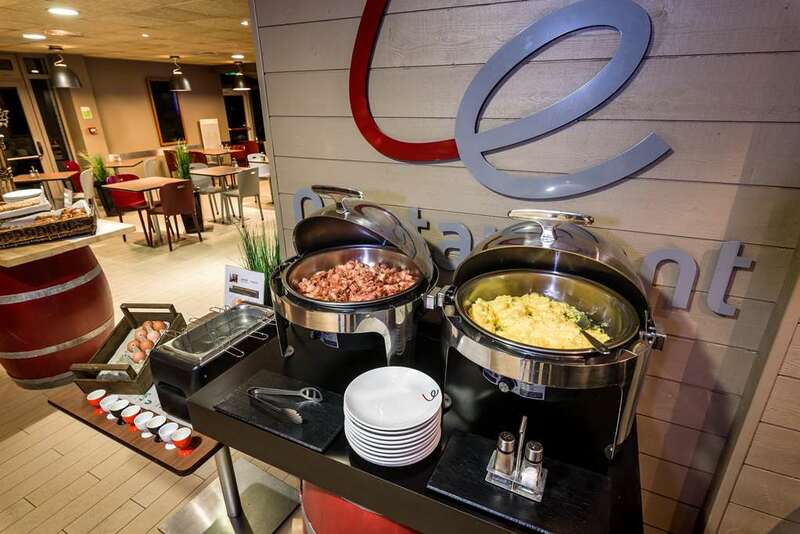 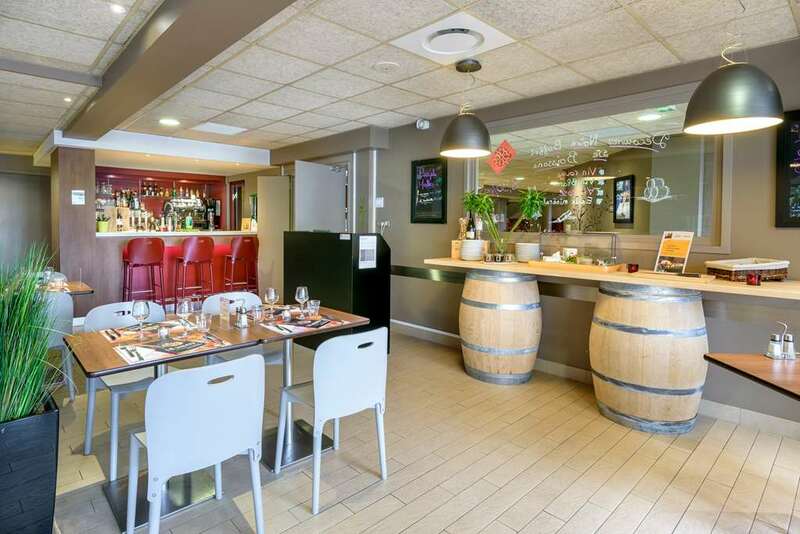 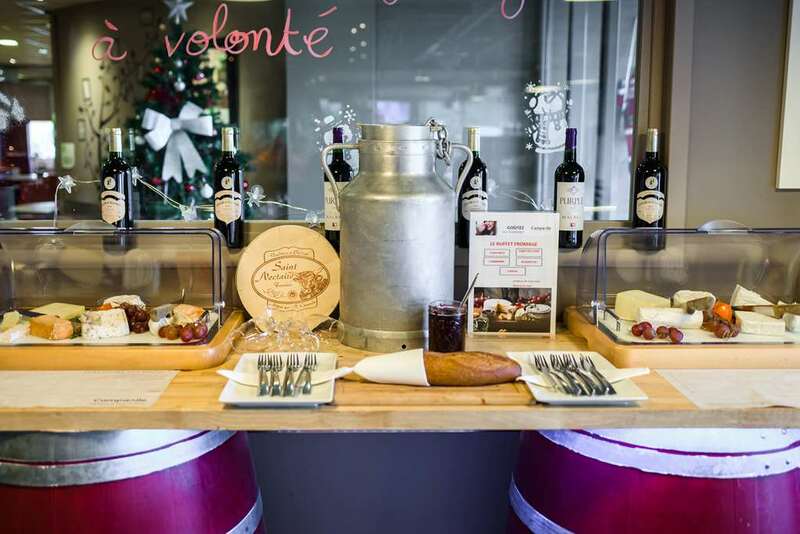 Close to the A29 highway, 7km from the nearest train station, on the route of the bus numbers 14, 64 and 70 buses and only 5km from Blagnac airport, this hotel has great transport connections, so you can explore the city or the surrounding Midi-Pyrenees region with ease. 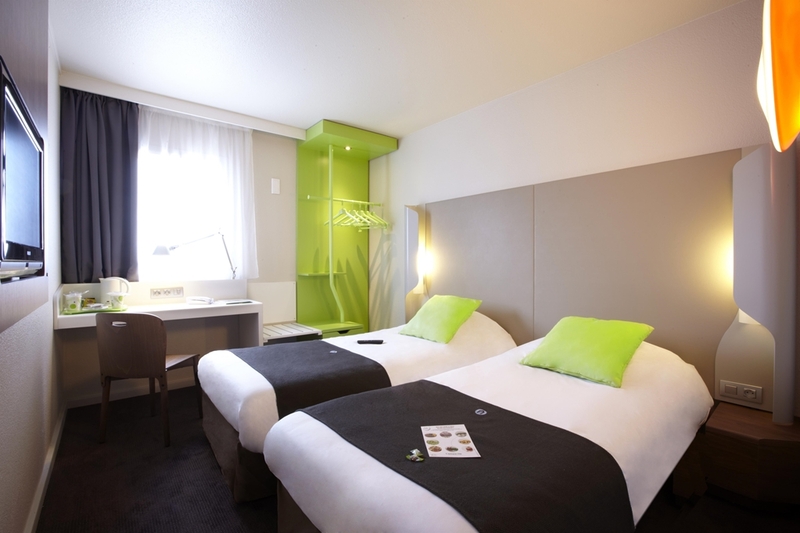 The hotel is surrounded by leisure amenities and points of interest. 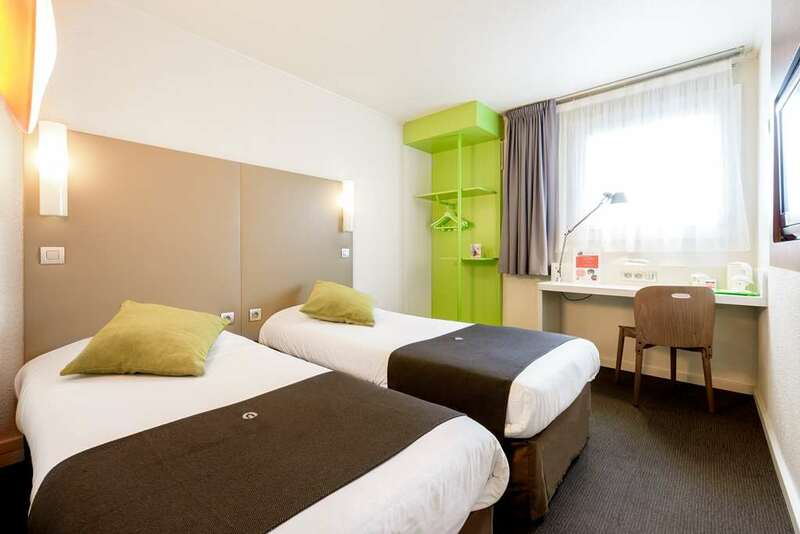 The Aerospatiale is 5km away, the Zenith is 3km away and the Cite De l’Espace is just 10km from the hotel. 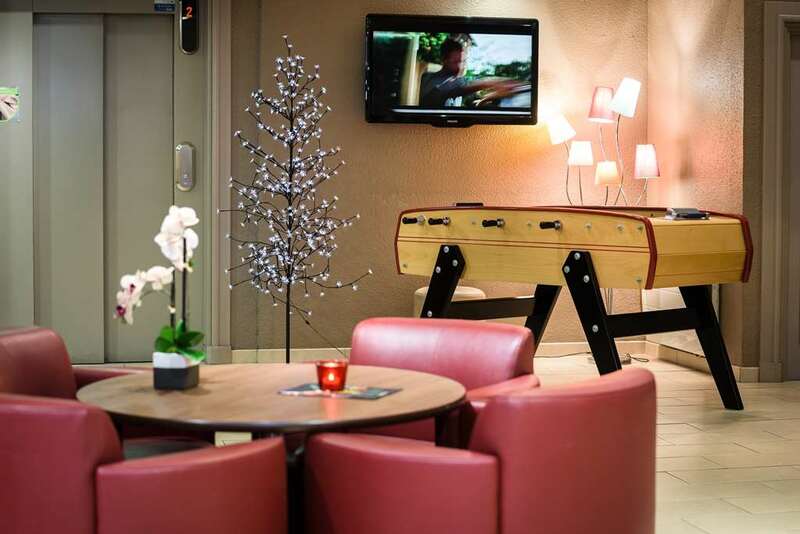 Enjoy a film at the CGR Blagnac cinema, only 6km away. 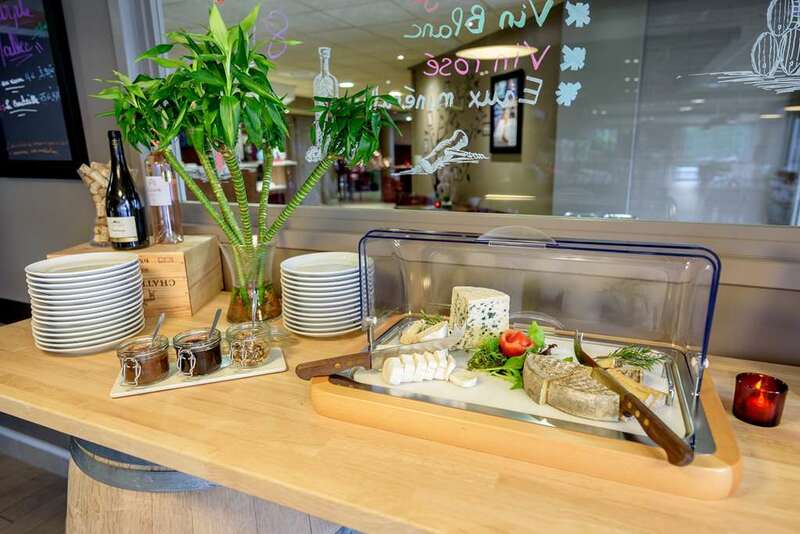 Why not practice an old hobby or try something new: the golf course is 15km away and you can enjoy tennis, swimming, go-karting or ice-skating within 10km of the hotel. 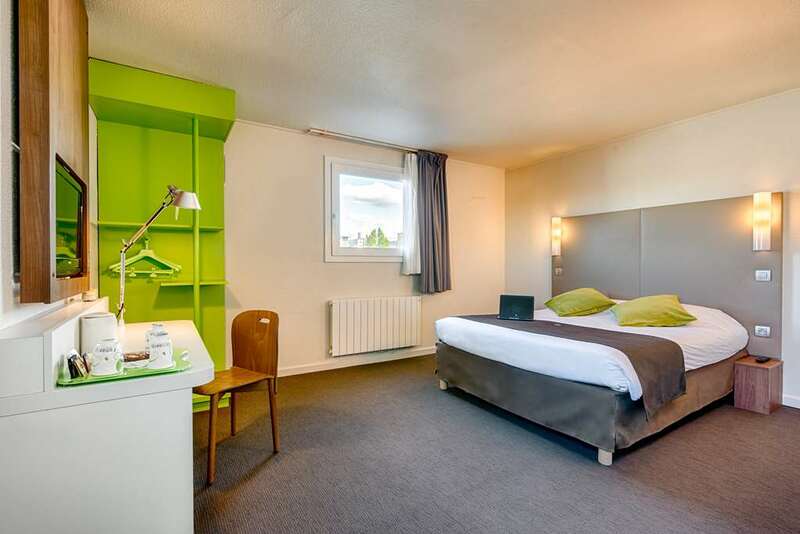 The nearest disco is only 10km away. 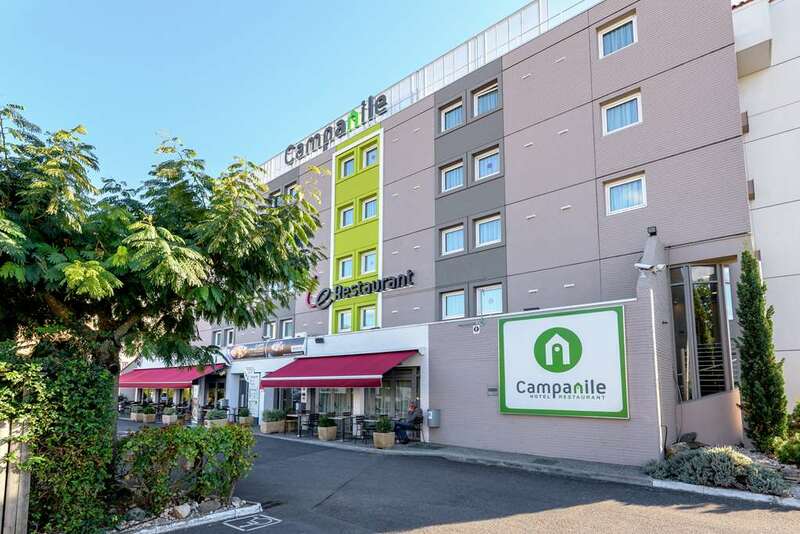 You can easily pick up souvenirs or gifts at the nearest shopping centre, which is within 300m of the Campanile Toulouse Ouest– Purpan hotel. 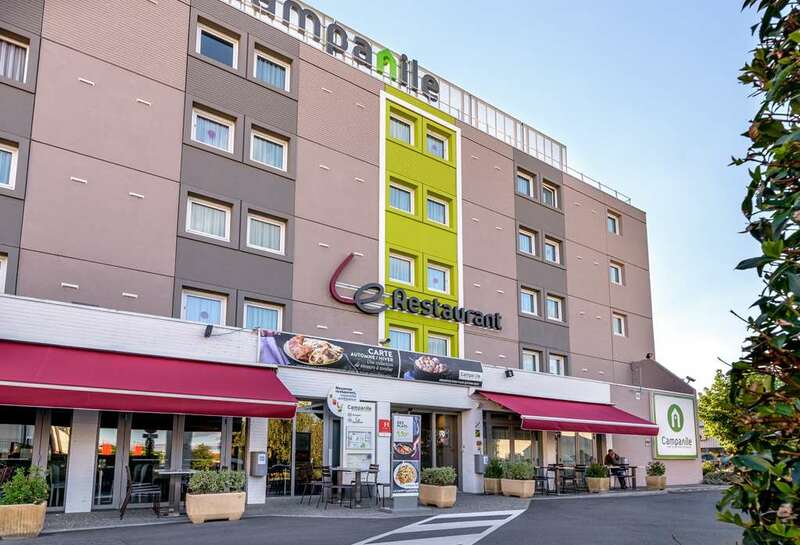 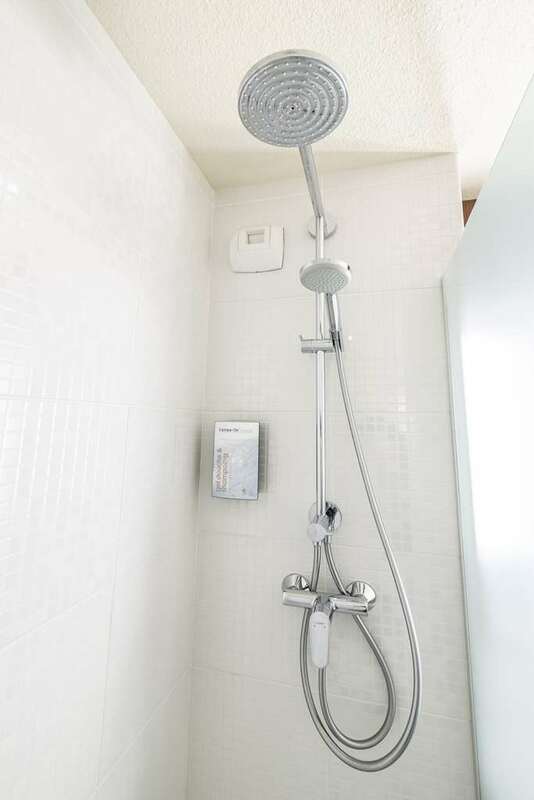 The three-star Campanile Toulouse Ouest– Purpan prides itself on combining comfort and affordability. 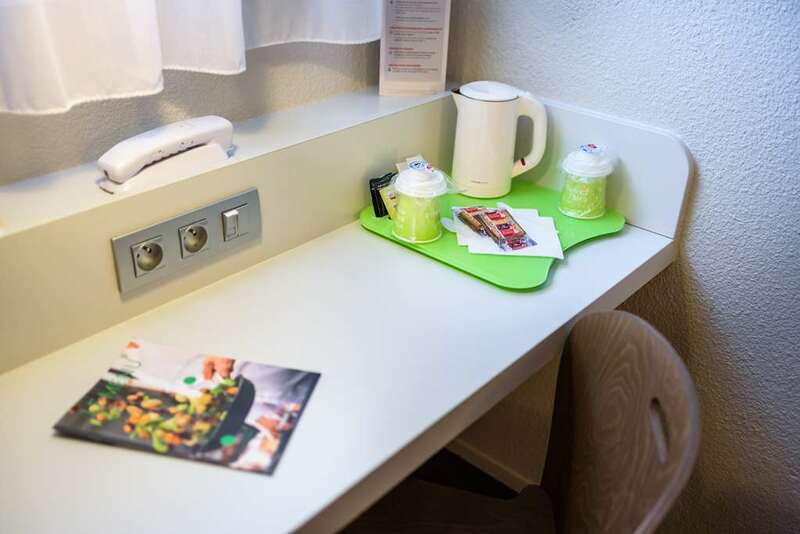 Guests can benefit from free car and coach parking as well as Wi-Fi and the added security of a night porter. 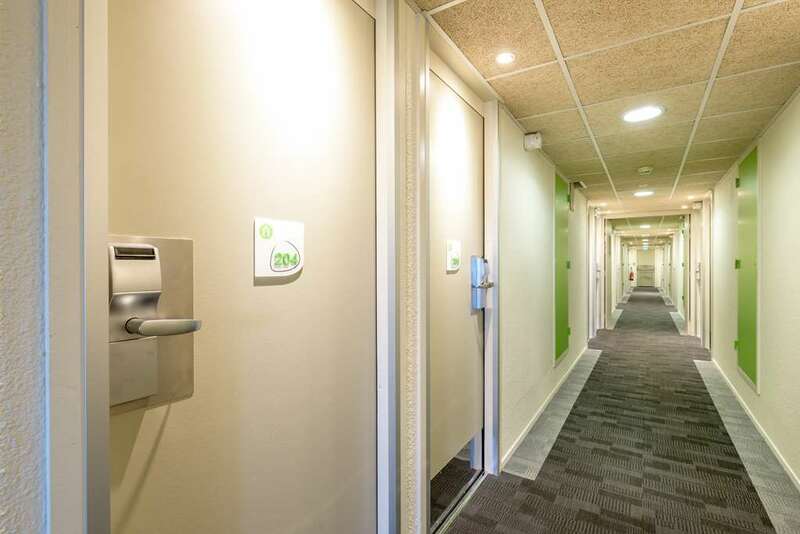 The air-conditioned hotel has a fully-stocked kiosk and lift access as well as meeting rooms. 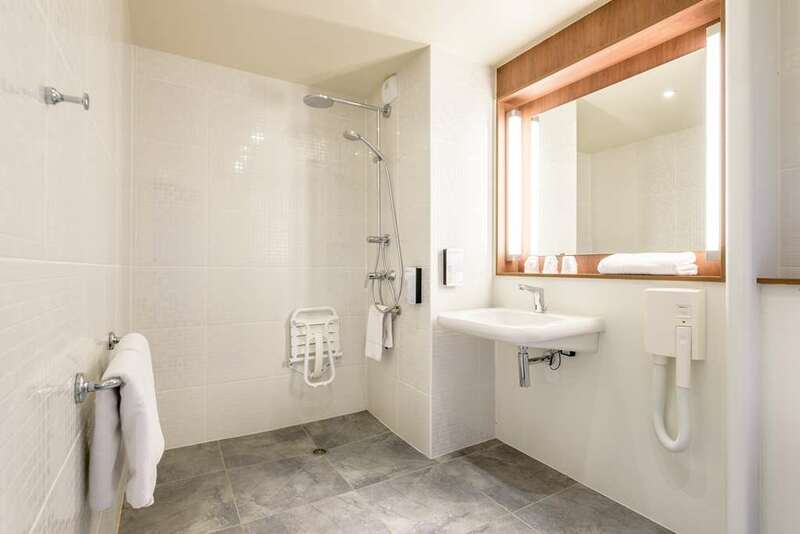 It accepts all types of guests; it has disabled facilities and even takes pets. 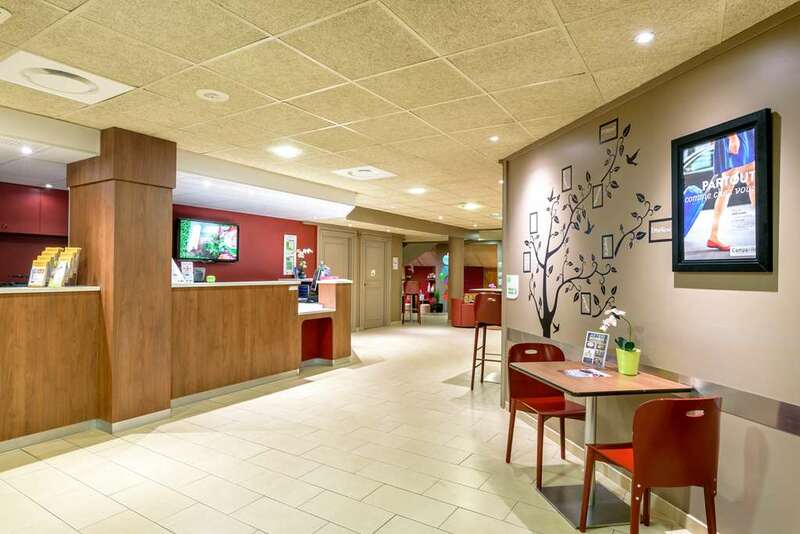 Friendly, professional staff can greet you in English, Portuguese, Spanish or French, so no matter where you are from, you will receive a warm welcome. 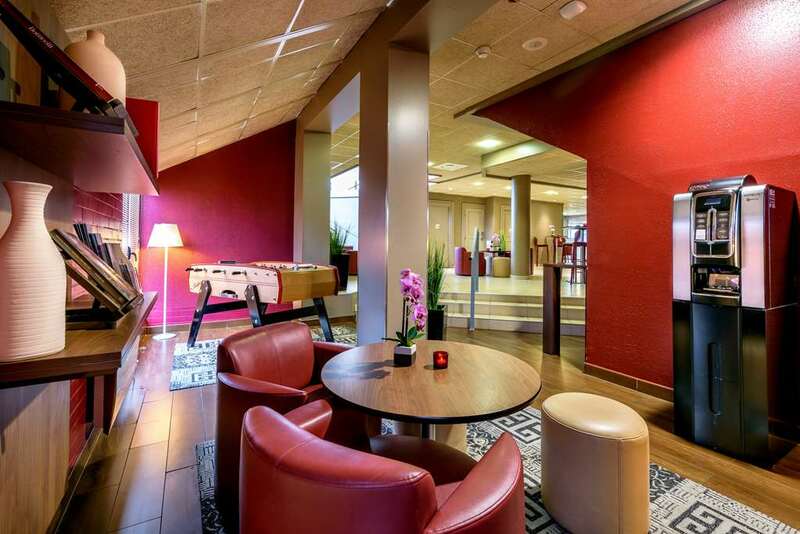 You can relax on the terrace with a drink from the bar, read a newspaper in the reading room or play billiards. 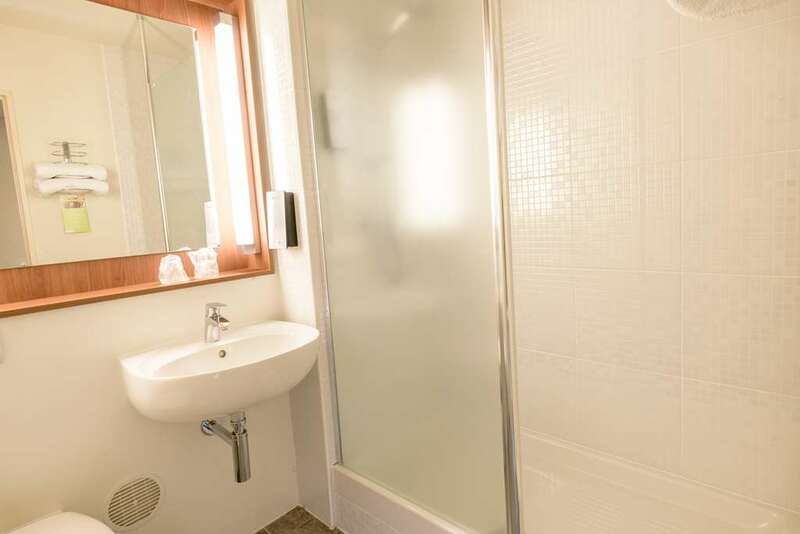 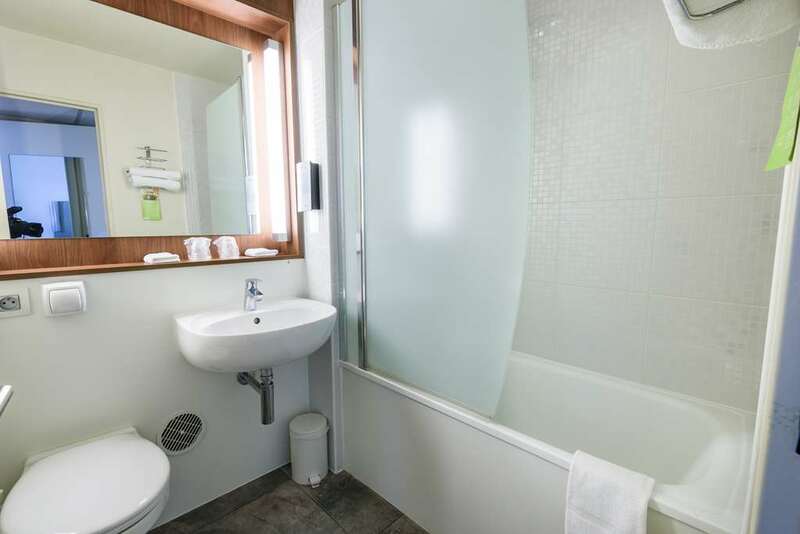 Choose from 71 smoking or non-smoking double, twin or triple-size rooms with en-suite bathroom facilities. 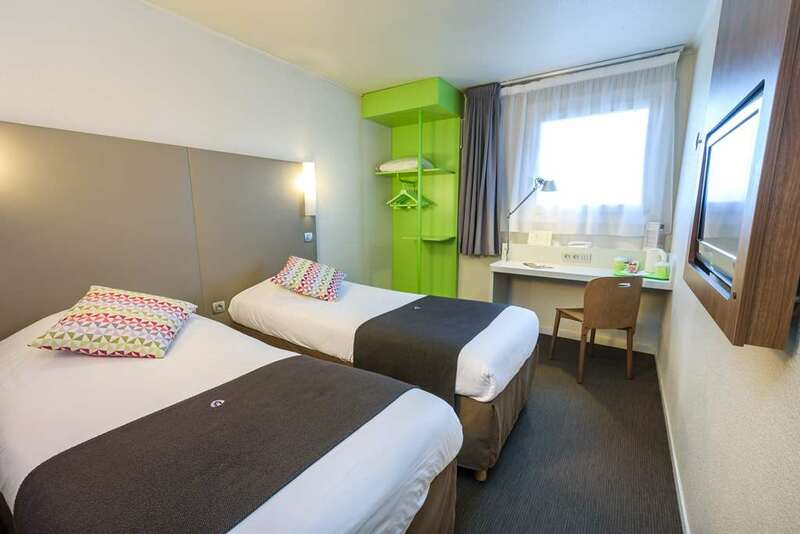 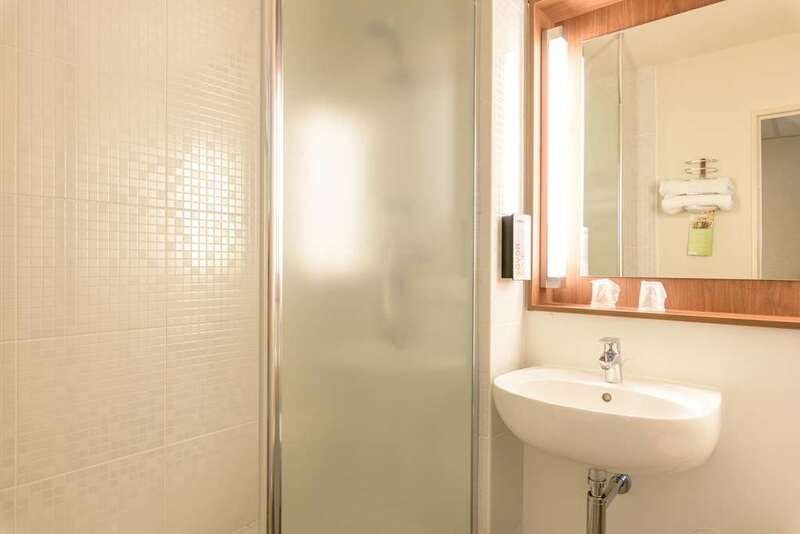 All rooms come with Canal + and Canal satellite television, a private telephone line and hair-drying facilities, for your comfort and convenience. 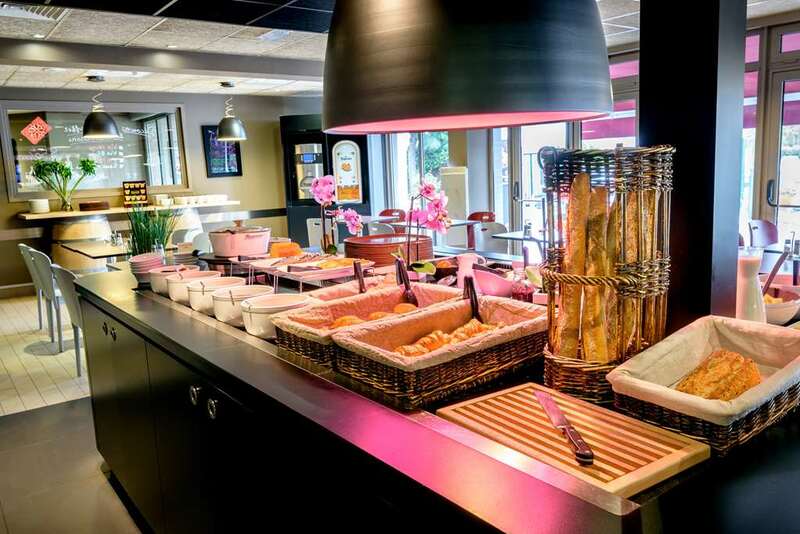 The hotel’s 100-seater restaurant serves a daily breakfast buffet as well as offering tasty lunch and dinner options. 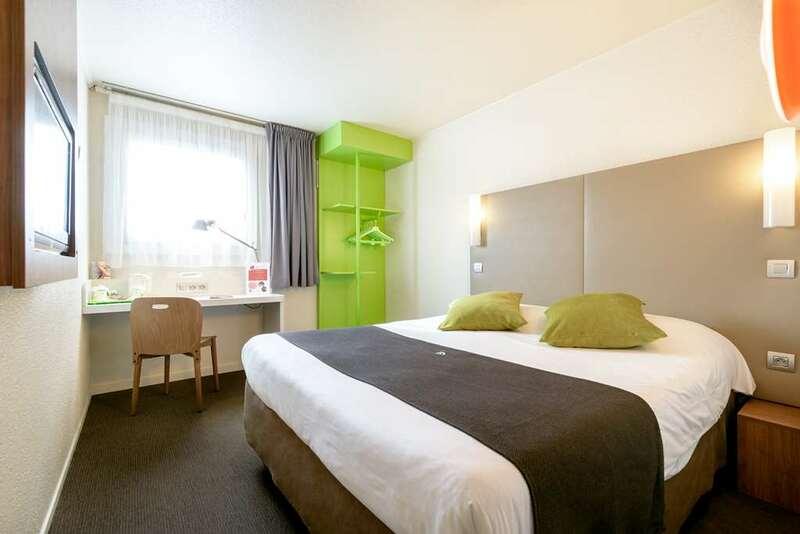 Get the best out of your visit to Toulouse by staying at the Campanile Toulouse Ouest– Purpanhotel. 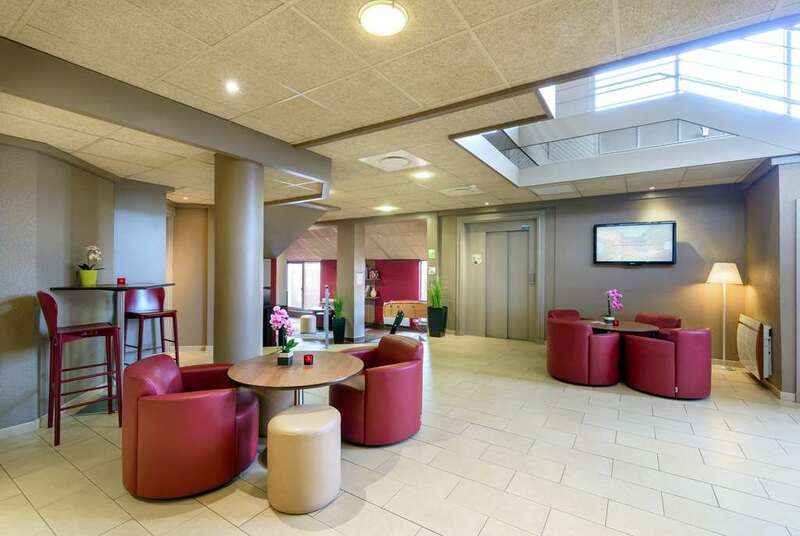 Our Campanile Toulouse West Hotel in Toulouse ensures you are getting the lowest rate for your stay. 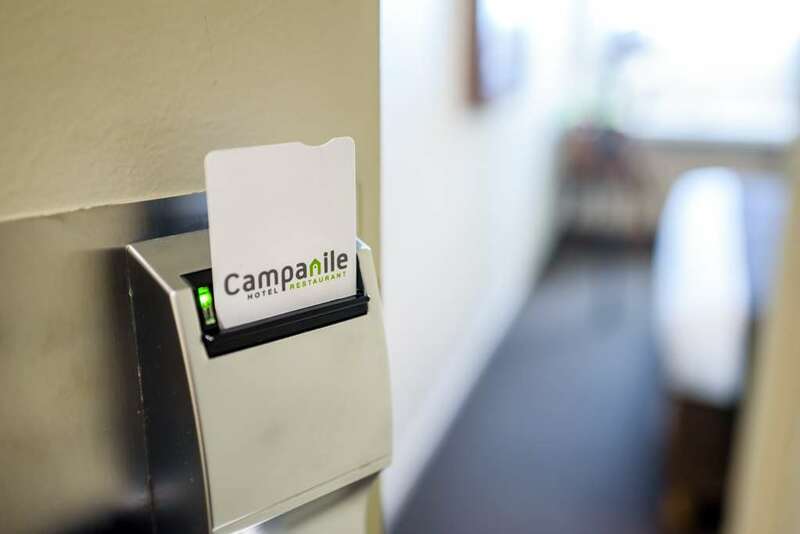 Find all of our Campanile Hotels in Toulouse.